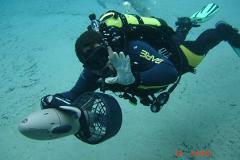 At Hall's, trips aboard the Lady Key Diver are setup for comfort and convenience!!! The Lady Key Diver is for diving only. 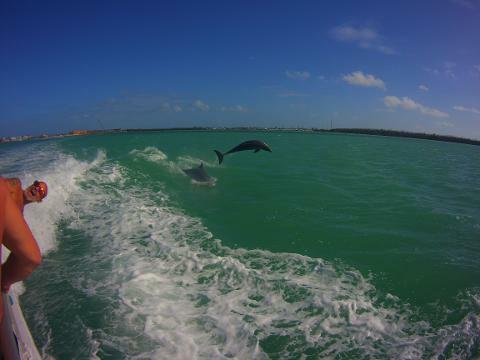 Inspected by the United States Coast Guard, she is approximately 40-feet long and cruises around16- 17 knots. She has a cooler tostore your beverages, a freshwater shower, ample room for gear storage with cylinder storage at your back. 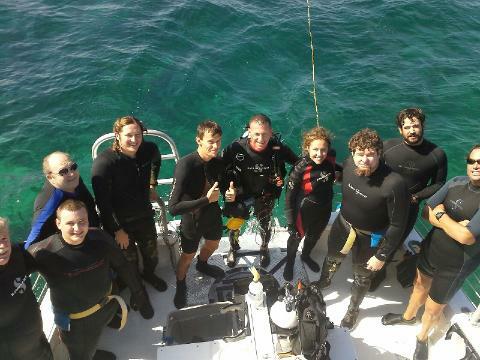 While aboard Lady Key Dive you are free to walk where ever you would like. For convenience, large handrails are placed all the way around the vessel-even at the front deck. The cabin area provides excellent shelter from wind and sun. The front deck is just the place to lie out and workon that tan between your dives! rear, holding the handrail and step through the cutaway transom right into the water. It couldn't be any easier. When it comes to getting back in, there are two big stairway ladders where you can walk right back into the vessel with ease. Another exciting thing about this vessel is that it is specifically equipped to find those exceptional but unmarked diving locations! Like any vessel though, she is only as good as the people who operate her. 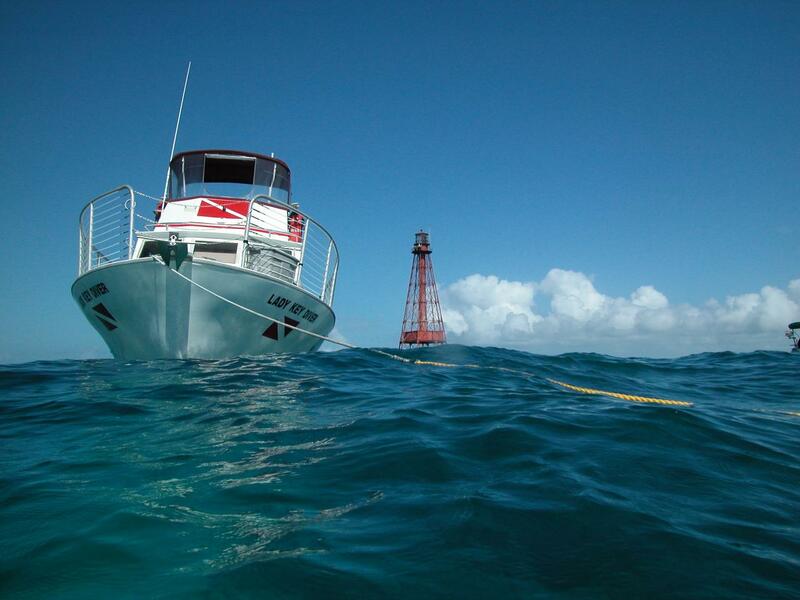 The Lady Key Dive excels in this area. Each crew member from Hall's has been specifically trained for their job and are either licensed Captains, Instructors, or both. 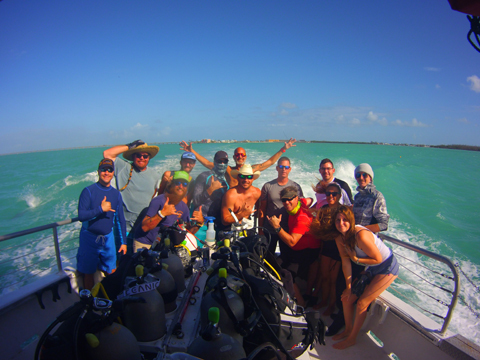 The Friendly crew dedicates themselves to making sure everybody has a good time and a rewarding diving experience. As soon as you can, after you arrive in the Keys, stop in and visit with us! This will give us plenty of time to prepare you for your adventure and provide you with an orientation to our services, your schedule and activity locations. This activity needs a minimum number of divers. 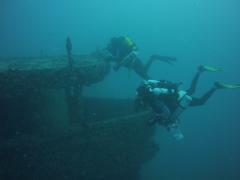 If the minimum is not met,the activity may be cancelled, in which case you will be allowed to reschedule,receive a full refund, store credit, or receive credit for a future dive trip.The same applies if Mother Nature has presented conditions that require a trip delay or cancellation. Upon booking, you will receive a confirmation Email and your receipt. Save this and bring it with you to present upon arrival. It is best you book in advance to ensure your space on the boat.